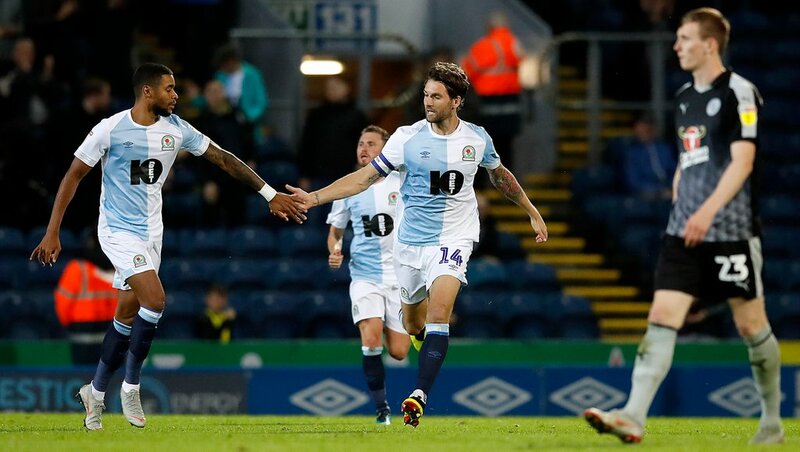 In a ploy to attract the 'Next Generation' of supporters, Championship club Blackburn Rovers have given out 2,500 complimentary tickets for their next home fixture against Stoke City on April 6th. With attendances at the Lancashire club notably dropping this term, Rovers have linked up with the Community Trust in an attempt to united families with their local team. The Blackburn End upper-tier will be re-opened for the Potters' visit in just over a week's time, with the club hoping to fill the entire section of the stadium by branding it as the first-ever 'Next Generation fixture'. 1,400 (56%) of the complimentary tickets have been taken by children, with the club hoping that the younger members of the community will enjoy the experience and start to frequent Ewood Park on a more regular basis. The vast majority of people attending will be families, which the club will hope creates an appetite for the whole family to attend games and cheer on the team together. “Our mission is to always try and create a buzz and excitement around the idea of coming to watch live football and our plans for the Next Generation game are certainly going to fit that bill. “I’m very pleased to hear that there was such a high demand for the concept when it was offered out to the many deserving groups by our award-winning Community Trust and I’m sure that it will be a day to remember for everybody that attends. Rovers' Community Trust chief executive officer, Gary Robinson, has also been extremely impressed with how well received the idea has been amongst the community. “It’s fantastic news that there is such an appetite for Blackburn Rovers among the many worthy causes that we partner or support that an allocation of 2,500 tickets went in just a couple of weeks, meaning that we’d filled all the available seats three weeks before the fixture," he said. “That figure would have been even higher had it not been for the need to close applications due to demand having exceeded supply so dramatically. It’s a really positive headache to have to inform a number of groups that we can’t offer them tickets this time, but we also know that they are very keen to be a part of this new initiative if we get chance to repeat it. “A large number of those attending as part of our first Next Generation fixture will be first time fans, with many of the tickets going to families whose personal circumstances normally prevent them from being able to attend professional football on a regular basis.